Get some inexpensive zip and zap. Changing your plugs gives performance and economy. Neglecting your carâ€™s spark plugs can have some serious side effects including a degrading your fuel mileage, increasing emissions and a host of other problems. Eventually, if neglected long enough, your vehicleâ€™s performance will reflect that of a 1972 model. Not something that most owners really want. Most auto owners want the most â€œbangâ€ for their buck. Paying attention to small things like spark plugs will help keep your money in your pockets and not your mechanicâ€™s. It isnâ€™t always necessary to spend hundreds of dollars to get minimal performance gains. One quick and easy way is to upgrade your ignition system. This begins with upgrading your spark plugs, followed by changing your wires and ignition coil. Pop your hood open and take a look at your vehicles ignition system. What kind of condition is it in? Are your spark plug wires frayed or disintegrated? If they are, those are obvious signs that replacement is in order. Maybe you have a new vehicle and your wires and ignition system are practically brand-new. Good. But you may want to consider upgrading your plugs and your wires with a set of Nology Hotwires. They are a simple and cost efficient way to upgrade both power and efficiency. Nology HotWires are the most technologically advanced ignition wires available. HotWires create the most powerful spark possible. HotWires are engineered with a special built-in capacitor, exclusive only to HotWires. This revolutionary design allows energy from the ignition coil to accumulate in the capacitor until the voltage at the spark plug electrodes reaches the ionization point. At that split second point the entire power of the stored spark is discharged at once, creating a spark 300 times more powerful. The result is faster, more complete combustion, and most importantly, MORE HORSEPOWER and theyâ€™re 100% smog legal. âˆ‘ Trying changing your plugs before you start your engine for the day. Spark plugs are typically well set into the engine block and require some touching of the block. You donâ€™t want to do this when it is HOT. Have all the essential tools gathered before you get to work. A set of mechanic gloves will provide you with some protection and makes for a cleaner job. âˆ‘ Do not attempt to remove the spark plug wires by pulling on them. Rotate the spark plug boots 90-180 degrees before attempting to pull them off with a Spark Plug Wire Puller. Rotating helps break the covers loose without tearing the fragile wires within. Do not pull on the wire. âˆ‘ Mark the wires with a piece of tape. Number them from 1 to however many cylinders you have. This makes putting the wires back much easier. You cannot just simple reattach the wires in whatever order youâ€™d like. âˆ‘ Clean all debris or moisture from around the old spark plugs with some sort of air pressure. This helps to prevent any engine damage. of engine problem. Worn plugs with carbon buildup can cause overheating, converter failure, rough idle and other problems. âˆ‘ A crucial step not to be avoided is to properly gap your new plugs. People have the tendency to put the plugs directly from the box into their block. Gapping your plugs will give you the intended performance will also help extend the life of the spark plug. Use an Ignition Spark Tester with an Adjustable Spark Gap for the best results. The tester can test for no start conditions and for spark strength. The adjustable gap feature allows for spark gap requirements from 0 to 40,000 volts. A gauge background makes spark easier to see for accurate measurement. An alligator clip securely fastens to ground. Screw assembly adjusts spark gap quickly and easily. It now includes safety shield. âˆ‘ The new plugs should be installed by hand. This makes sure that the fine threads are lined up properly and the spark plug is set correctly. If this proves to be difficult, try to use a piece of hose to slip over the end of them to extend your reach. Itâ€™s important to adhere to the manufacturerâ€™s torque recommendations when you torque the plugs. âˆ‘ Reconnect the wires in the order in which you removed them. Failure to do this correctly could result in damage to your vehicle, or your vehicle simply will not start. âˆ‘ If oil has covered any parts of the plug or boots make sure to clean them well. A clean plug and boot will extend the life of both of them. Keep wires off of manifolds and other hot areas, or away from areas which may damage them. If you’re looking for something to do this Weekend with your family, head down to the Denver Auto Show and check out the cool cars that are being featured. All of the major manufacturers have vehicles on display, including some very cool concept vehicles. All tickets are sold at the door. Adult admission is $10. be admitted free when accompanied by an adult. Wednesday, March 29, 2006 from 5:00 p.m.-9:00 p.m.
Wednesday, March 29 – 5 to 9 p.m.
Thursday, March 30 – 5 to 9 p.m.
Friday, March 31 – noon to 10 p.m.
Saturday, April 1- 10 a.m. to 10 p.m.
Sunday, April 2 – 10 a.m. to 6 p.m. I recently put four new tires on our 2005 Nissan Murano and it cost me $595, which was a great deal compared to what most places were charging. After they were installed though, they needed to be balanced properly to get the most out of the tires and to provide proper performance. I thought I would include an article here on the importance of maintaining your tires and some tools you can get to assist with getting the most out of your tires. What is connecting your car to the road? When you get asked that question it doesnâ€™t take long to come up with the proper answer. But for some reason, people tend to forget that the only part of their vehicle touching the road is four small patches of rubber we affectionately call tires. Spending a million dollars on a vehicle but neglecting tire care basically relegates your tires to the same performance stats as lawnmower tires. But your high performance car is not a lawnmower you argue. Ok, we believe you. Keeping your tires properly inflated to the manufactureâ€™s recommended specs is the key to preventing any future confusion as to whether or not youâ€™re driving a lawnmower. Grab your pressure gauge and check your tireâ€™s inflation at least once a month. If every month you have to add more than a few psi to a tire, then there is an underlying problem. There could be a tire/wheel assembly problem. Itâ€™s wise to contact a tire professional immediately if this is suspected. Check the pressure when you tires are cold before you do ANY driving. Just driving down your driveway causes your pressure to increase and youâ€™ll get an bogus reading. A digital gauge gives a far more precise reading than a conventional gauge. The Accutire MS-4710 features a large LCD readout, and a ruggedly designed plastic metallic body with rubberized sure grip handle. It measures from 5 to 99 psi in 1/2-pound increments, auto on/off, permanent lifetime lithium battery, plus a 5 year warranty. The 4710 has an added advantage with a longer reach neck for those hard to reach valve stems. Itâ€™s perfect for deep offset wheels. Wear on Both Edges: UNDER INFLATION A tire that has both side edges worn down may be under inflated. Too little pressure is a tireâ€™s worst fate as it reduces its life. The abnormal wear patterns can also cause handling anomalies which could result in an accident. This excessive wear generates excessive heat which reduces the tireâ€™s overall durability â€“ or worse, a flat. Your fuel economy is also affected by the increase of rolling resistance (under inflated tires makes your vehicle expend more energy). Regularly check for proper inflation. Shoulder wear on a tire often is caused by misalignment. Wear in the Center: OVER INFLATION When you eat too much you get fat in the middle. The same goes for your tires. When a tire has too much air in it â€“ it is over inflated. The center of the tire balloons out and bears the load of the car causing the center to wear out faster than the outer edges. Over inflation is dangerous because under rough terrain or under heavy loads, the added stress can cause the tire to â€œblowout.â€ Have your alignment looked at; perform any recommended necessary services. â€œA penny earned is a penny saved,â€ or something like that. A penny is still useful these days. They are great for checking your tireâ€™s tread depth. Insert a penny into a tread slot with Lincoln upside-down and facing you. If you can see the top of Lincolnâ€™s head when you look level with the tire it is time to replace it. Also most passenger, light truck, and medium commercial tires have tread wear indicators molded into the tread. It is time to replace a tire when the indicator becomes visible. Cups or Dips in the tread: WORN PARTS Cupping (also called dipping or scalloping) is most common on front tires, though rear tires can also cup depending on the rear suspension setup. The steering components may be worn out or the wheels are out of balance if you notice that any of your tires are cupped. Sawtooth edges: MISALIGNMENT Do the edges of your tires tread look like a saw was taken to them? Literally this is what is happening to them. The road is chewing, sawing, at your tires and it wonâ€™t be long before the tire is completely destroyed. The solution is a toe-in or toe-out alignment correction. Youâ€™re driving down the road and your steering wheel is bouncing around in unison with the beat blaring from your carâ€™s speakers. Soon comes the headache as the vibration starts working its way from your hands into the back of your skull. If this describes a typical day behind the wheel for you, then its time to get your car balanced. Unbalanced tires cause vibration, which can fatigue the driver, and cause premature tire wear. It also places a lot of unnecessary stress on your vehicleâ€™s suspension. Balance your tires when you have a new tire mounted on your rim, or after you have had a repair on some part of the wheel. Bring your car into the shop right when your car begins to vibrate or shimmy. When you turn the steering wheel right and your car wanders left it would be a pretty good indication your car needs an alignment service. A poorly aligned vehicle will suffer from many different ailments. The worst being the wear it places on your tires. A vehicle is properly aligned when there are no abnormal signs of treadwear and all suspension and steering components are functioning within recommended guidelines. 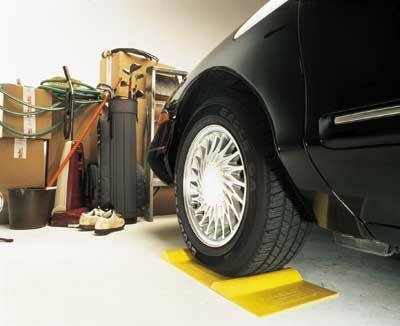 Tire rotation can easily be performed in your own garage. No need to go to the repair shop, unless you are not one to do your own repairs. Refer to your ownerâ€™s manual on their recommendations. Roll-out your floor jack and do it yourself. Remember to initially loosen your lugnuts before you jack up your vehicle. Use jack stands for safety. Your vehicle’s owner’s manual specifies the proper rotation pattern, which tire is changed with which, and recommends the schedule for performing it. Sometimes there is no schedule specified. It doesnâ€™t mean that that a rotation should never be performed. If there is clear information in your manual, a good rule of thumb to follow is to rotate them every 6,000 to 8,000 miles. Donâ€™t forget to torque your lugnuts to specifications. Proper tread depth is essential for proper tire performance. If you notice a loss or change in wet traction, you may not have enough tread left on your tires. Replace a tire once the tread depth reaches 1/16th of an inch. Many of the people that I speak with about leasing a vehicle immediately get defensive because they have heard the horror stories of people who lease the wrong vehicles. However, what most people don’t realize is how leasing the right vehicle can be a huge benefit to the consumer. For example, look at what’s happening with Ford’s Jaguar division currently. In a recent issue of Automotive News, it was reported that Jaguar Cars of North America had to remarket 20,000 vehicles and in 2005 that number soared to 27,000. These were mostly X-Types and S-Types coming off of leases. That huge number of used cars was 89 percent of Jaguar’s total new vehicle sales in 2005. The article went on to say that this year, Jaguar will still have to remarket about 21,000 units that are expected to be returned and Jaguar’s executive vice president of marketing is viewing that figure as “a walk in the park” compared to the previous year. In fact, Jaguar has elected to stop selling cars to Enteprise and Hertz because their aggressive lease program has hurt them so bad. In 2001 the residual value on an X-Type was 49% and in 2006 it’s still somewhat aggressive at 40%. The people who leased a Jaguar over the last few years really made out on the deal. Think about it for a minute. These people were able to drive a new and very elegant, high-end automobile for three ears with a full warranty and have Jaguar subsidize their lease payment. At the end of the lease they walked away without having to worry about finding a buyer or getting less money by trading in their vehicle. Now Jaguar is the one that has had to scramble to sell all of these vehicles, while the savvy consumers have dropped the keys and given the vehicles back to Jaguar knowing they are not worth what Jaguar said they would be. This is the part of leasing that most people end up missing out on. If you lease the right vehicle, drive the right amount of miles and get the right residual values and lease terms; you can really capitalize on the incentives that manufacturers offer. Why not let the automobile manufacturers that are willing to take a huge risk to move their inventory, give you the opportunity to drive one of their new vehicles at a substantial discount and give it back to them at the end of the lease term, letting them worry about finding another buyer? It can make tremendous sense when done correctly as is illustrated in the “Jaguar battles used-car glut” article that was featured in the industry insider magazine Automotive News. Contact me if you would like me to help you find a pre-owned Jag or if you would like to find out which manufacturers are running outrageous lease incentives you could take advantage of today. I spotted this cool yellow gadget over at Drivewerks and thought it looked like a pretty functional and interesting invention. My neighbor used to hang tennis balls from the ceiling of his garage, so that he would hit the same spot in his garage when parking his cars. I could see this as a great present for yourself, especially if you have teenagers who are starting to park your car in the garage. I’ve seen more than one garage with holes in the walls from kids missing their parking spot. Check it out at Drivewerks. At $18.85 it’s a reasonably priced gadget for your garage. I have a client that has just put her black 2002 Toyota MR2 for sale. Here’s a great opportunity to pick up a classic little sports car at a great price. Review: The MR2 didn’t changed much since its rebirth after a five-year break. In 2001 Toyota added leather as a $660 option. Everything else came standard and it was loaded with power windows, door locks, AM/FM/Cassette/CD sound system, alloy wheels, tilt steering, wind deflector, glass rear windows with defroster, and a leather steering wheel. The Spyder came in seven colors, with either black or red cloth seats, or tan leather interior. This model is black with the tan leather. All MR2s come with the same engine as was used in the Celica GT, a 1.8-liter, 16-valve four-cylinder, with variable valve timing and electronic management technology like that in its high-end Lexus family member. The engine’s 138 horsepower moves the 2200-pound car great. It can accelerate from 0 to 60 mph in a little less than 7 seconds. Toyota’s VVT-i engine used a variable-valve timing, but it doesn’t generate a big surge of power when it switches to the high-power cam profile. This is good in a small engine, because it means the powerband feels broader. The maximum torque of 125 foot-pounds hits at 4400 rpm, so you have to be in the correct gear to maximize performance. At 70 mph, this little sports car will hum along at 3500 rpm, happily and with no significant vibration. Like the Mini-Cooper of today, you will want to make sure that you keep the right tires on, and at the right pressure, for the best driving experience. The car handles great and is a blast to drive. The MR2 Spyder is a great little sports car with impressive technology in the engine, chassis and gearbox. Its acceleration is exciting because its a light weight vehicle, yet the ride is solid and admirable. It is comfortable and convenient, but its mission is not misguided by luxury. The convertible top can be lowered quickly, so you can fully enjoy the top-down driving experience, or get it up fast if the weather changes on you. And it did all this for a reasonable price. Now you can own a car that is soon to become a classic, the Toyota MR2 Spyder with under 40,000 miles at a very reasonable sports car price.